Hey Boys, check out this awesome Acura Nsx Car. Now you can color your own sports car! Pick the colors from the left and color the car! Use your mouse to pick the colors from the left side and color your Acura Nsx Car. 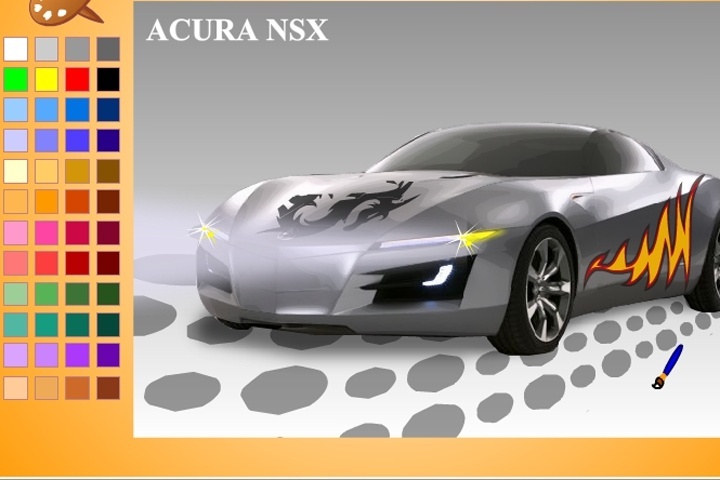 If you want to play Acura Nsx Car Coloring games online you have come to the right place! GamesLoon adds new Acura Nsx Car Coloring games every week. This is your game portal where you can find the biggest collection of free Acura Nsx Car Coloring games online. Do not forget to rate our Acura Nsx Car Coloring free online games while playing!